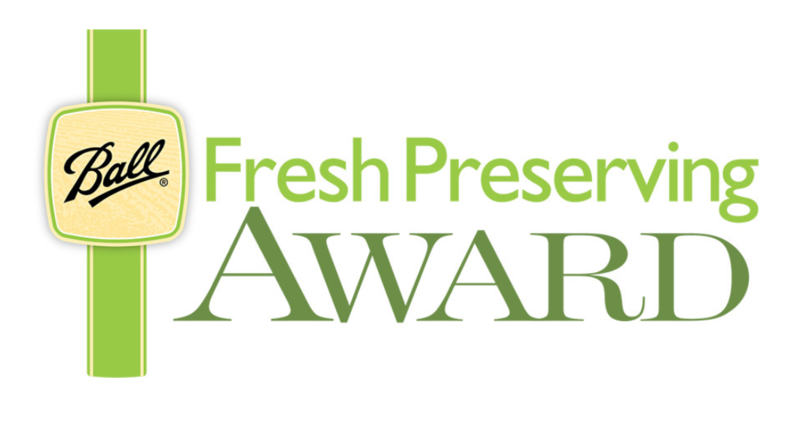 Newell Brands Inc., marketers of Ball® and Kerr™ Fresh Preserving Products, is proud to recognize today’s fresh preserving (canning) enthusiasts. An award for 1st place will be presented to the individual whose home canned entry is selected the best in the category. A panel of judges will select the best entry in each category for Fruits, Vegetables, Pickles, and Soft Spreads. Entries must be preserved in Ball® Jars sealed with Ball® Lids and Bands specially designed for home canning, or preserved in Kerr™ Jars sealed with Kerr™ Lids and Bands specially designed for home canning. In addition, entries in the soft spread category must be prepared using Ball® Pectin: Classic, Low or No-Sugar, or Liquid. Proof of pectin purchase in the form of a receipt or product UPC must be submitted with entry.